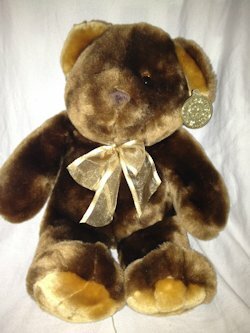 I’m looking for a 12 inch DanDee Collectors Choice brown bear. Inside the ears and the soles of the feet are gold. He has a shiny gold organdy bow. 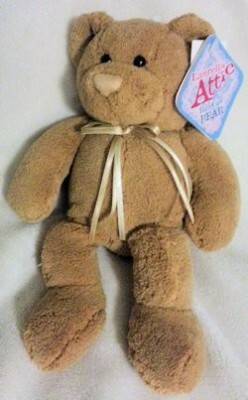 I’m looking for a 10 inch 2009 DanDee Collectors Choice Laurels Attic brown bear with double bow beige ribbon. 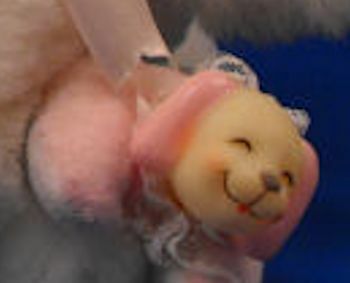 I’m looking for a DanDee PUPPY SURPRISE pink PUPPY with vinyl head and pink terry body that I need. The puppies come inside the white mama’s Velcro tummy. 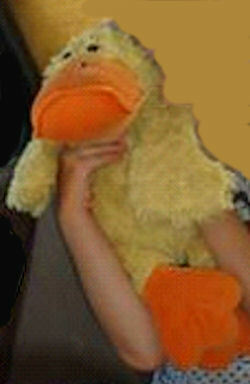 I’m looking for a chenille lying down 19 inch long yellow duck with blue eyes, orange beak and feet. It may be a Dan Dee Collectors choice platypus. 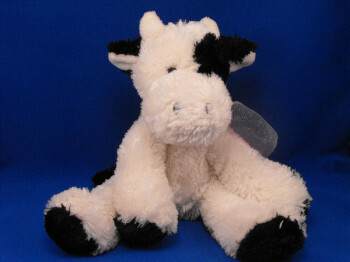 I’m looking for a chenille 15 inch DanDee Collectors Choice white and black cow with black chenille ears, eye patch, feet, tail, and a large spot on back. 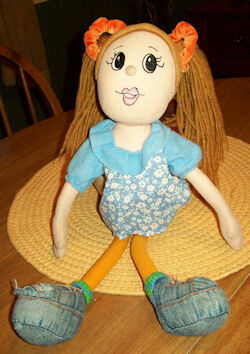 I’m looking for a 90’s 16 in brunette DanDee Kool Kids doll, with orange scrunchies, dressed in an orange t-shirt with shorts or a skirt and denim shoes.